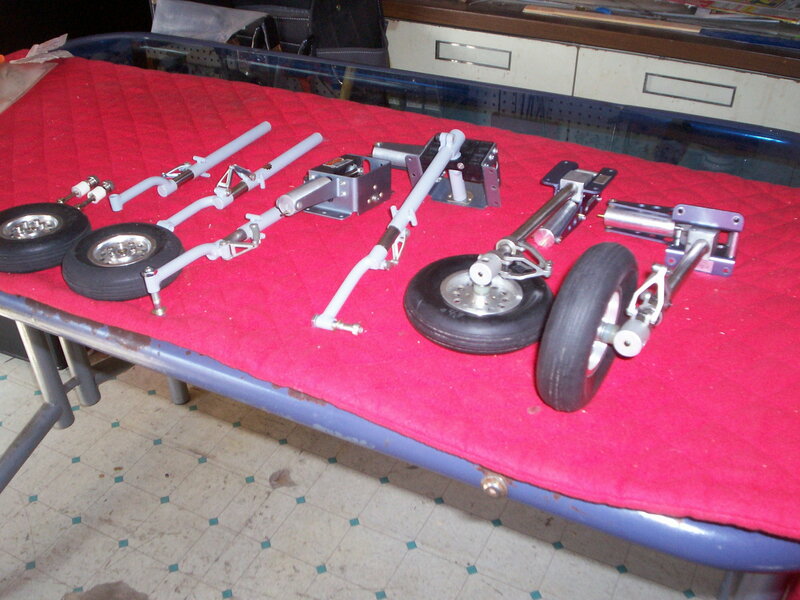 Robart retracts for giant scale warbirds, appear to be for P-51 and P-47 if you can identify them let me know. also have a set of 1/2: dia. 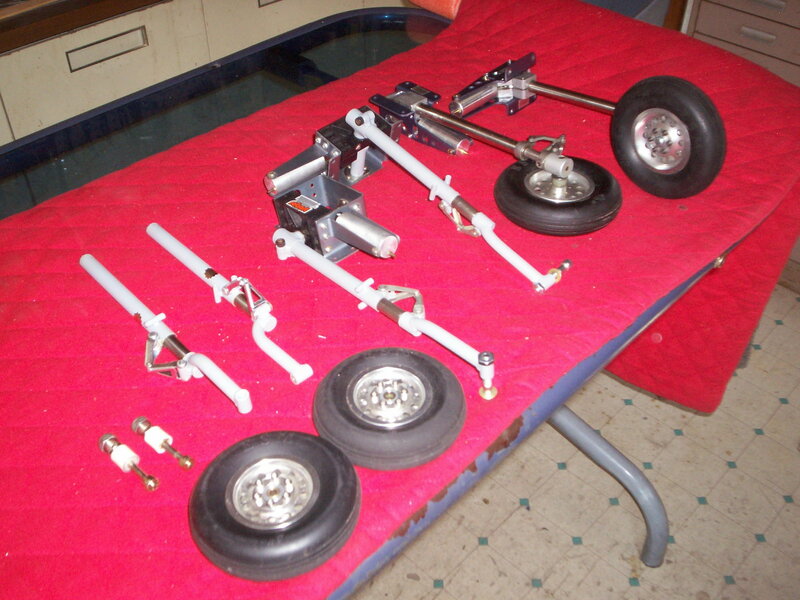 struts with offset leg's the lot includes a set of ESM 4.5 inch aluminum hub wheels. ESM 4.0 inch aluminum hub wheels. 400.00 for all, shipped in the US. 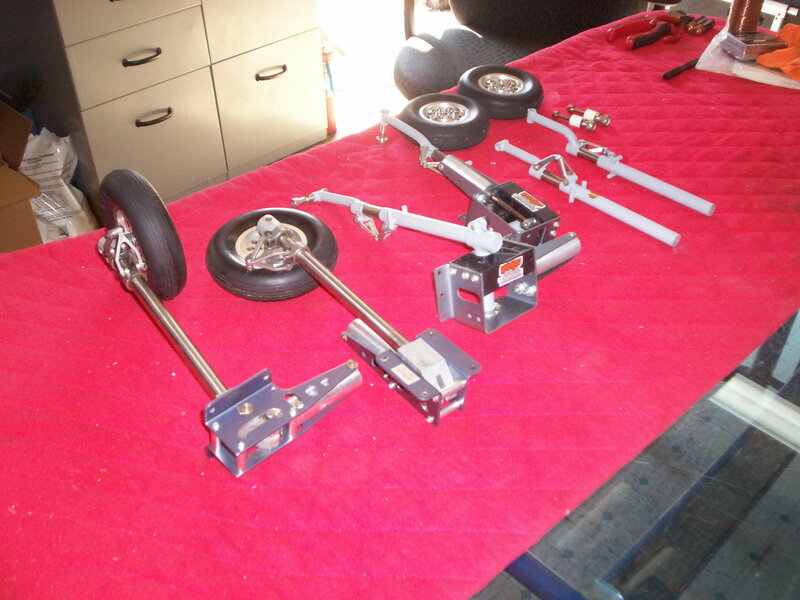 Strut length is 8 3/8 inches from center of axle to gear mount when down ( gear would be down went mounted). I hope this helps in determinding which retracts you have. I will measure the retracts today. the retracts in the middle measure mounting holes 3 1/4" center to center at the widest point. mounting holes on the side 1 1/2" center to center. retract housing 1 1/2" high. strut 9" long. hope this helps.